We couldn’t wait to return to Ashton Gate for May’s Business Showcase Southwest 2018, complete with a brand new exhibition stand to help launch our exciting new project. The Soto garden proved a big hit and drew lots of welcome attention for our first ever Disconnect Day, launching on 21st June 2018. Attendees were encouraged to ‘Turn Off, Unplug and Go Out’, for any length of time from 30 minutes to a full 24 hours – with the added incentive of the chance to win passes to Thermae Bath Spa! Over 275 businesses from across the South West came together to showcase their work, and it was wonderful to talk and find out more about so many inspiring local companies. We decided this showcase was an even greater success than last year, and as always, the speakers, networking events and exhibition space were organised perfectly with plenty of help from the friendly exhibition staff. 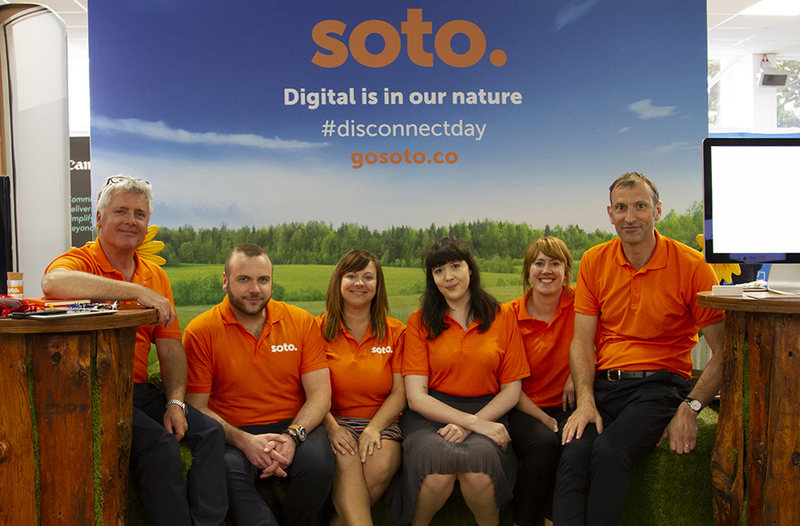 Team Soto had plenty of freebies to give away in our signature orange, including notebooks, bags and grow your own seedlings so recipients could bring a little of the great outdoors into their own office. In just 24 hours those who signed up pledged a total of 280 disconnected hours – a great start which can definitely be made even better! Visit the website and sign up to Disconnect Day at www.disconnectday.co.uk, and see what you could achieve away from all your devices. Enjoy some unplugged time whatever you get up to, and we hope to see a lot more of you next year.